One of the ways by which you can evaluate your blog growth is by the number of visitors you are getting (Use Google Analytics to keep track of your blog visits). But, just the visits are not enough to measure the growth, as the traffic has to be targeted. Therefore, to increase the targeted traffic to my blog, I have burned the midnight oil in past 48 days. There are various ways by which one can drive traffic to their blog, and I’m a firm believer of growth hacking. With growth hacking, one can use existing content and start getting more traffic to their blog. Many of you might be aware of the fact that my blog was hit by Google Panda algorithm in 2011, and this was the time when I realized the importance of SEO. I spent months on learning SEO and practicing it to recover from Google Panda (For new readers, you can read all about my recovery process over here). Panda recovery was a big relief as for once I almost lost faith and thought my blogging career is over. During my process of learning about SEO, I realized that Search Engine is nothing but a set of codes/algorithm, and we just need to make sure that our WordPress blog meets their requirement. 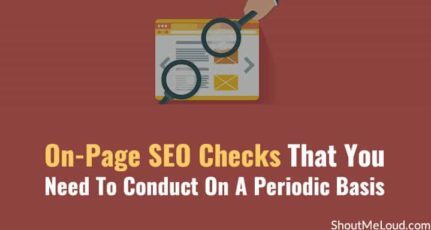 One of the biggest misconceptions with search engine optimization is that one need to do some shady techniques to rank higher in the search engine. But, the fact is SEO is first about readers and a bit of technical tweaking to make it search engine friendly. No website can be ranking higher for long without quality content and which is not giving great user-experience. In the case-study, I will share exactly what all I did which helped me to increase my traffic by 28% in just 48 days. I’m sure there will be a lot to learn for you as well, and my suggestion would be to take action right away and not just to read whatever is written. If you can’t take action now, you should rather bookmark this article now, and come back later when you are ready to take action. Well, I was sailing on a smooth boat, and I was least worried about increasing traffic. 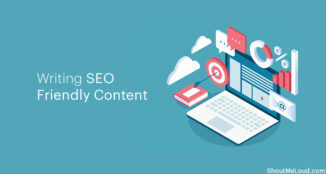 My focus was to constantly produce new content to keep regular readers engaged, and it was not a bad approach, but I was kind of ignoring the importance of those readers who were coming from search engine and landing on old posts. While writing new articles, it’s also important to work on your old blog posts and improve them. You should read this detailed guide on why you should edit your blog posts and how to recycle old blog posts for traffic and exposure. Anyhow a few weeks back, I got to know about LinkPatrol plugin that I reviewed and installed it on my blog to fix my old links. You can read more about LinkPatrol plugin here. With that, I started auditing all my posts, and that gave me a completely new perspective about the conversions. I also managed to earn an extra $1200+. If you are interested in knowing how this plugin helped me to make money, you should check out this detailed video guide over here. Let’s look at the steps I took which helped me to improve the traffic drastically, and it’s been improving since then. 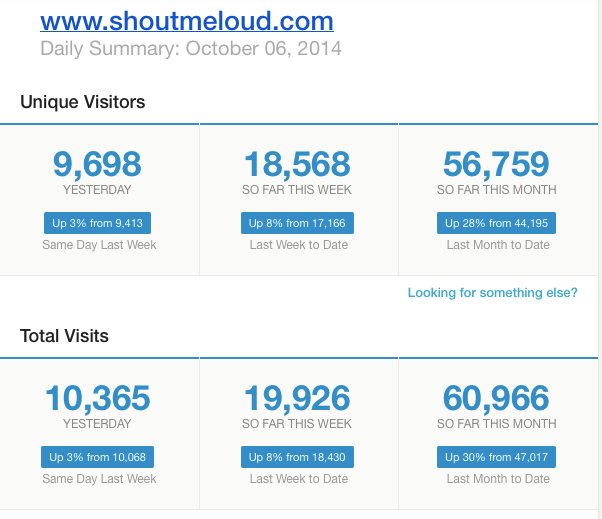 If you are new reader of ShoutMeLoud, you should start with reading this personal story of my blogging journey, and you would know that ShoutMeLoud was started as a tech blog and later on it found the niche as you know of today. I had almost 50+ quality technical posts written in around 2010-2012, and I had to get rid of them. They were not low-quality content, but they were not adding value to my current niche of the blog. I made the list of all the tech posts that I wanted to move from ShoutMeLoud to ShoutMeTech. I checked the post in Google search for any duplication. Since many lame newbies copy content from this blog to theirs, I filed DMCA complaint against them and got rid of all the duplicate content. This was a necessary step, else If I would have directly posted the content on ShoutMeTech; it would have been treated as a duplicate content. Now moving posts from ShoutMeLoud to ShoutMetech was a task and manually moving images was time-consuming. I found this useful plugin call Archive remote images, which automatically saves images. After copying the content from ShoutMeLoud to ShoutMeTech, I deleted the content from ShoutMeLoud and added a request from Google Webmaster tool to remove it from Web-index. Once the post was gone from the search index, I published the post on ShoutMetech and added a 301 redirection from SML post to SMT. 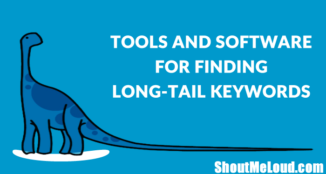 I’m a big fan of SEMRUSH tool as it offers everything you need for my blog such as Trackbacks, Keyword search, Keyword ranking to name a few. This is an ongoing process, and what I do here is, I use SEMRUSH to find all pages that are ranking for a particular keyword in page-2 or more of Google search and optimize them for the particular keyword. I have shared the complete process earlier here, and you can take a test drive of SEMRUSH for free using this promo link. I’m still in the process of optimizing my slides to drive traffic to my blog, but for the starter, you should read this guide on using Slideshare for driving traffic. I will share my experience and results when I have more data to share with you. Overall, Slides is a completely new addition to my blog promotion techniques, and it is working. If you are in tight budget, you can start creating slides by yourself which should not take much time. You should read this awesome guide from Outbrain on 23 tools to repurpose the content. ShoutMeLoud was running on an outdated version of Thesis theme and in July first week we migrated to the latest version of Genesis WordPress theme. More over, I also added a mobile specific site that helped me to increase the traffic from the mobile search engine. Nonetheless, moving from Thesis to Genesis improved the overall performance of my site. Upgrading to Genesis theme already improved the loading time of my site by 300%, and I further optimized it to using Cloudflare free CDN. ShoutMeLoud is hosted on HHVM based WordPress hosting on Kinsta, and with this ShoutMeLoud is now loading in less than 2 seconds. Earlier I was using related posts via custom code, and I was not happy with the relevancy of related content shown after the post. Related content works way better, only if the related posts are shown in the series format. I removed the custom code and added related posts plugin by Zemanta, which let me edit the related posts and select which posts I want to show. Just to give you an idea, it automatically shows the related content from your blog, and you have the capability to edit the related content and pick content manually for each post. This work is still in progress, and I’m hoping to notice a significant improvement in the bounce rate of the blog. This step I would recommend to you to do it immediately as broken links are really bad for overall SEO score of your blog. You can use WordPress plugin call Broken link checker or desktop tool call Integrity to find all broken link on your blog. Get rid of them right away. Also, if you have allowed guest posting on your blog and links on the posts are irrelevant or redirected to some other site remove them also. I also made a big change in the guest policy of ShoutMeLoud, and now you can’t guest post for backlinks. Anyone is free to contribute an article related to the niche of the blog that adds value to the community. Many of you may ask “What’s in for me?” And I have added this in the page itself; your profile will be visible to 400,000+ Shouters that will help in personal branding. Moreover, ShoutMeLoud is all about helping bloggers and entrepreneurs to grow the business, and if you are someone with the same attitude you are welcome to contribute. 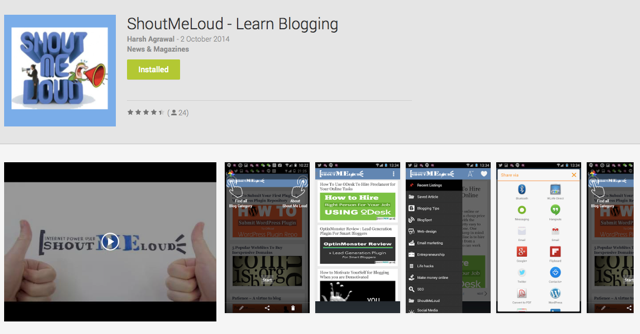 I also developed a dedicated Android app & iOS app for ShoutMeLoud, which you can download right away from Google play store here. This is a recent launch and the effect on traffic will take time, but now our readers have one more way to stay connected to ShoutMeLoud. Moreover, mobile users are growing exponentially, and you need to have a strategy for mobile web as soon as possible. The more you wait, more customers/readers you are going to lose. These are not notable changes that I have done in the last couple of weeks and traffic has improved for the blog, and I would recommend you to try making these changes to your blog, and it might have an improved traffic effect on your blog. One thing which I want you to read before you drop a comment is: How not to write meaningless content for utter success, as if you understand this Mantra, your blog will grow faster than you can imagine. However choosing the right web hosting powered by lightspeed web server instead of Apache web server also helps to gain more traffic with minimum resources. Yes its requires lot of effort and hard work once you build up your blog to maintain that and even more to improve that and the best way to do is through social media and being socially active through. 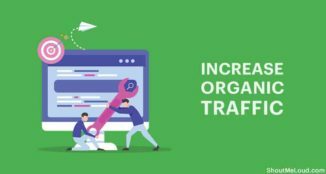 Thanks for sharing this post for us regarding case study how to increase traffic on wordpress blog. I always follows your post and learnt alot about blogging & others. Yes, Semrush is a good tool to find good keyword for blog to write article. And, for increasing more traffic we need to create high quality content. Optimizing blog with proper SEO and making site mobile friendly is good strategy to get ore traffic to blog. Moving site to a fast web host can definitely help in many ways, I did not aware about that at my first blogging time. 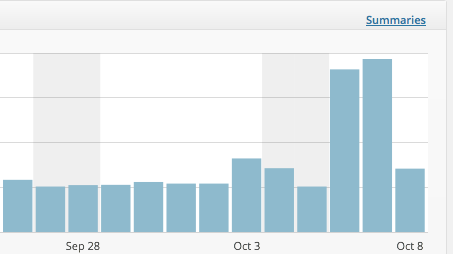 Now i am getting good traffic to my blog! Hi Harsh, thanks for this helpful article. And a non related question to this post. Why shoutmeloud won’t cache for offline reading, while the other sites works perfect? I’m not online on the way of work and home but I using the browser caching for reading offline. Hey harsh, how to use semrush tool to increase traffic? All the points mentioned here are valuable. One thing that I want to know here is how can I reduce the bounce rate on my page? Any specific guideline for that? Please help. Hello Harsh, whenever I need any answer, I come to your blog and find it! Thanks for such a wonderful blog, which is full with good content. I moved my all posts from one blog to another and right now the other blog is not host, because I want to handle only one blog. So what it means, these all posts are duplicate? You are right, content is the main key for a blog. If it is fresh and knowledgeable, of course you will get more traffic. Nice and informative article. Hi Harsh, This post is a big help for me. After reading the post I felt the need to work on my older posts. I started upgrading my older posts and added some new paragraphs and removed the backdated content. 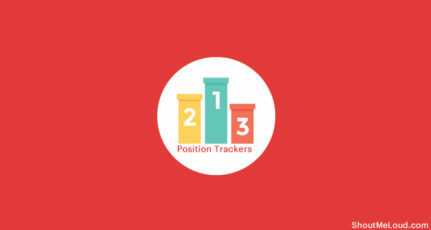 I also started doing link building in between the contents to increase the SEO value. I have created the Android and iOS app for TechnTechie. I have improved the blog loading speed and right now my blog loading speed is 86 out of 100 in Google SpeedSearch Insight. After doing all that I have noticed an improvement in my blog traffic and I am getting love from social media also. So, this is a great way to increase traffic by modifying your old content to get traffic. Very helpful blog as usual. I am setting up my blog on WordPress. I have some blogs on blogspot and planning to move them and improve. If I move them to WP, will it be considered as duplicate by SE ? Do I need to take some extra step somewhere (in webmaster or something like that ) ? BTW, when I tried to migrate using Blogger Importer Extended pluggin, it seems to have stopped inbetween. It was indicating x of y images imported. Then I installed another plugin called Blogger Importer, everything worked fine. But I observed, first plugin also imported all the posts. So now there were double posts. I had to manually delete one set of posts. It is clearly noticeable that the quality of Shoutmeloud is increasing day by day and that is the key factor for this growth! Thanks for sharing this post! Thanks, Harsh for sharing a great article for increase blog traffic its really helpful for my blog. Almost each and every blogger is at this stage, thinking to post regularly and be consistent and ignore the growth.